Burt's Bees Citrus and Ginger Root Body Wash is an invigorating way to start your day. Essential citrus oils and ginger root extract combine with coconut and sunflower oils to create a wonderful body cleanser that naturally cares for your skin. 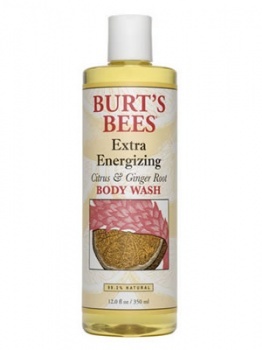 To this deep cleansing complex Burt's Bees have added naturally moisturising honey and sugar esters to soften and soothe the skin, and a wealth of aromatic botanicals to rejuvenate the body from the outside in.